This short walk starts from the end of Killarney Drive, in Killarney Heights and heads down the hill to Flat Rock Beach. The beach is a secluded sandy area on the shores of Middle Harbour. A nice spot for swimming, relaxing and enjoying the boats as they pass by. 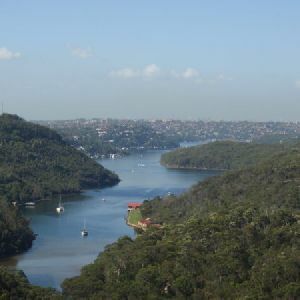 This short return walk starts from the end of Grattan Crescent, Frenchs Forest and follows the service trails along the Bluff Track to the spectacular lookout perched above Bantry Bay. There is an optional side trip down the into the valley to the Natural Bridge, which is a interesting natural rock archway bridging a creek. 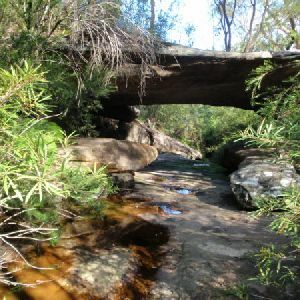 Starting at Cook Street in Forestville, this walk follows service trails and bush tracks through Garigal National Park, to the Natural Bridge. The walk uses the arch as a natural bridge to cross the creek. The rock formation is the main highlight of this walk, though the wild flower displays in the warmer months can be quite spectacular as well. 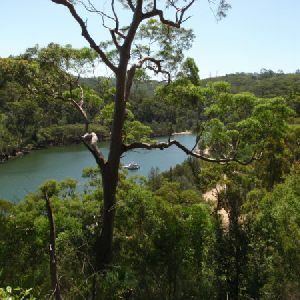 Starting at Seaforth Oval, this walk explores the historic logging track that heads down to the picnic area on the eastern shore of Banty Bay. 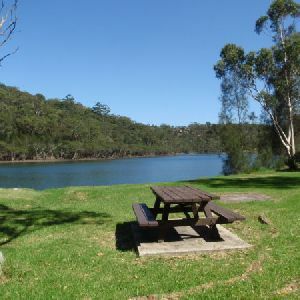 The picnic area is a great spot to relax and enjoy the water, and bush views, before heading back up to Seaforth oval. This is just one section of the greater Harbour to Hawkesbury walk. This walk starts at John Oxley Drive, and is popular with people working on their fitness. The walk follows a service trail which is initially dirt, but is sealed for most of the way, as it follows the pipeline steeply down to Middle Harbour Creek. Enjoy the view from the bank of the creek before the climb back up. Starting at Seaforth Oval, this walk follows the Engravings track parallel to the Wakehurst Parkway to the end of Bantry Bay Road, Forestville. The first half of the walk is along bush track and the second half follows a service trail. The engravings, after which this track is named, are fenced off to protect the area, the fence limits the view of the rock platform and engravings. This walk follows Moores Creek through several reserves in east Roseville and East Lindfield. The track is named after Australia’s 7th Prime Minster, who once lived in the area. 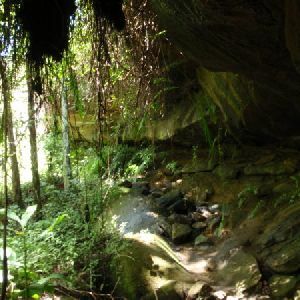 The walk explores the ferns and sandstone overhangs of the area, and there are several small waterfalls on Moore creek, which are worth the very short detour to visit. Officially, the Little Digger track finishes near the bottom of the Carlyle road service trail, but we included this section to get back to the road. This walk explores a section of Middle Harbour and Gordon Creek following a narrow bush track. 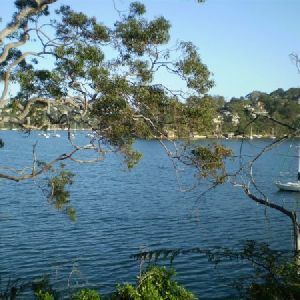 The walk provides some great views across Middle Harbour Creek and the bushland of the area. This walk also gets close to the mangroves along Middle Harbour creek. With the right tide, these mangroves can be very interesting to explore. This return walk starts at the Founders Way track head, in St Ives, and follows the pipeline through the National Park. The walk heads down into the valley where it comes to the Middle Harbour Creek pipe bridge. 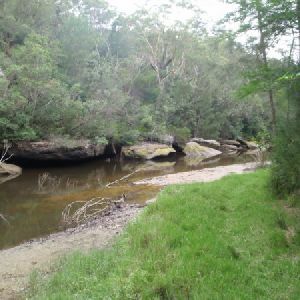 There is a short, optional side trip along the Bungaroo Track to the stepping stones crossing the creek. This pleasant, return walk starts in Davidson and follows the Cascades Track along the management trails as it winds down into the valley. In the main valley, the walk comes to the Cascades just upstream of the Frenchs and Middle Harbour Creeks junction. 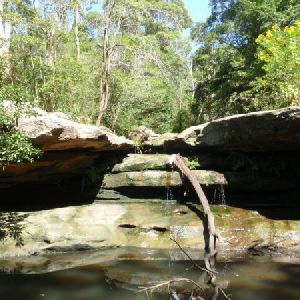 The Cascades are surrounded by rock platforms, which make the perfect vantage points to stop and enjoy a picnic lunch. 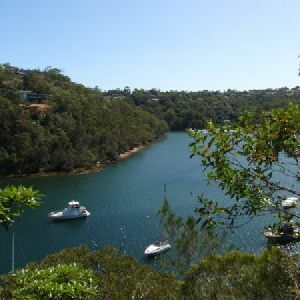 Following the edge of Middle Harbour, this walk has excellent views and Special spots, including the views from the end of North Arm Rd and the trail near the Mannerim Rd Turnoff. The change in the track from bush track to mangroves and mudflats south of the Pump Station gives a good feel of the diversity of environments that can be found in the area. 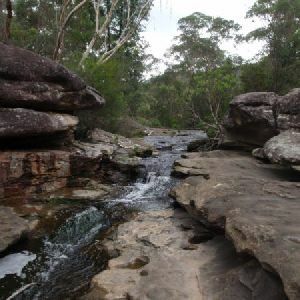 This walk explores a section of Garigal National Park from St Ives following service trails through the forest and into the valley. The cascades, from which this track derives its name, are at the junction of Middle Harbour and Frenchs creeks. After taking time to explore the rock platform, this walk continues along service trail to Stone Pde, Davidson. This walk is named after the heritage magazine buildings at about the halfway point. There is not a great view of the buildings but the walk provides great views of Bantry bay, and visits the secluded flat rock beach. Most of the walk is on bush track and there are plenty of rocky points along the way to sit and soak up the views. This circuit walk starts at Founders Way and follows the Bungaroo bush track through the national park to Middle Harbour Creek. There is an optional side trip to the creek crossing before returning, via the pipe bridge and the Pipeline Track. Along the Bungaroo Track there are plenty of opportunities to stop and take in the great forest like surroundings, in what is a tiny portion of the Garigal National Park. 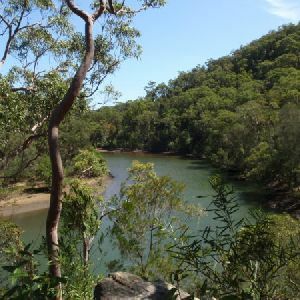 This walk explores part of the northern section of Garigal National Park and the upper reaches of Middle Harbour Creek. The walk follows a service trail from Douglas Street, St Ives, to cross Middle Harbour Creek, then explores a large rock platform with the Cascades. The cascades themselves are not huge, but the rock platform, rock pools, and the cascades combine to form a great place to explore and have a snack before the return journey. 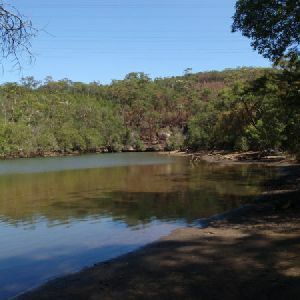 This walk explores a section of bush between Hunter Ave, St Ives, and Middle Harbour Creek. The walk follows a reasonably well defined bush track, passing several rocky outcrops with views across the valley. 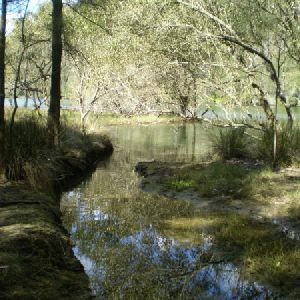 The walk is named after Bungaroo, a spot of Middle Harbour creek which was described by the first Governor of NSW when he and his party were exploring this area for farmland. Follow these historic footsteps and explore a piece of wonderful bushland. 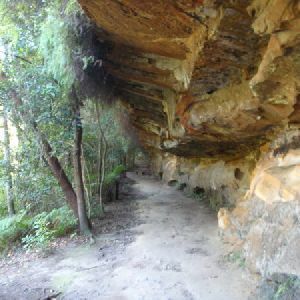 From Currie Rd in Forestville, this walk visits the sandstone archway known as the Natural Bridge before climbing the hill and continuing to the Bluff. The Bluff is a large rocky point, with its own interesting shapes and a fantastic view down Middle Harbour and across to the city. Starting from John Oxley Drive, Davidson, this walk descends steeply into Garigal National Park, along a wide asphalt service trail. The walk follows a lovely bush track along the eastern bank of Middle Harbour creek before following Carroll Creek up to the end of Ferguson St, Forestville. There are plenty of lovely water views, and several interesting sandstone overhangs on this walk. 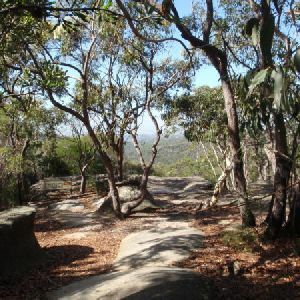 Starting at Davidson Picnic area, this walk follows the ridge above Middle Harbour Creek, giving some great views along the way. The walk explores the sandstone formations, and passes an aboriginal midden along the way. Soon after passing the national park office, the walk finishes at the end of Ferguson St in Forestville. 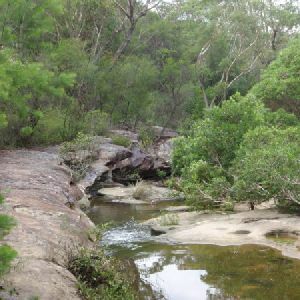 This pleasant walk starts in the outskirts of St Ives and follows several tracks to explore a section of the Garigal National Park. The walk follows the Upper Cambourne Track down into Garigal National Park, then the Lower Cambourne Track into the valley, and the Bare Creek Track, through the forest. The walk then follows the Cascades Track to climb out of the valley. There is an optional side trip to the Cascades. This nice walk explores some of the service trails at the northern end of Bantry Bay, in Garigal National Park. This walk is a great way to see many wildflowers, and some wildlife, of the area. The side trip to the Natural Bridge is worth the effort to see this interesting rock formation. Most of the walk is fairly flat with the exception of the last few meters to the waters edge where the track is quite rough. There is an option to exit at Cook St, just near a bus stop. Starting at Currie Road in Forestville, this walk follows the edge of Bantry Bay to Seaforth Oval. The main highlights of the walk include the Natural Bridge, the views from the Bluff Lookout and Bantry Bay Picnic Area. There are plenty of places to sit and enjoy the views and wildlife along the way. 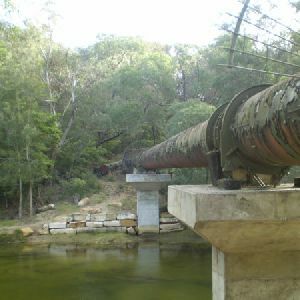 This walk explores the bush from St Ives, and follows the pipeline down the the banks of Middle Harbour. There are a few steep sections in the second half of the walk. This walk is an interesting way to get into the heart of Garigal National Park following the Founders track. This pleasant walk follows the pipeline, from Hunter Avenue in St Ives, to John Oxley Drive, Davidson. 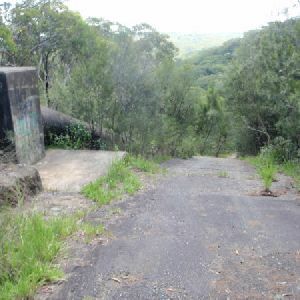 The walk follows the pipeline down into the valley and crosses Middle Harbour Creek (via a quick upstream detour to the Bungaroo Track crossing) before climbing out of the valley to John Oxley Drive. 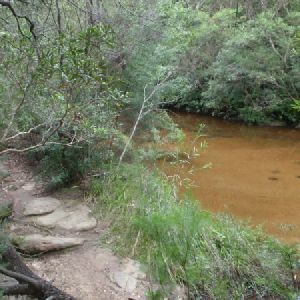 This pleasant return walk starts from the end of the Davidson Reserve picnic area and follows the Lyrebird Track through the bush, along the edge of Middle Harbour Creek, to the stepping stone crossing on Carroll Creek. 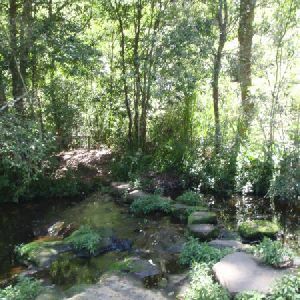 The stepping stones are a great place to take a break before returning along the same route to Davidson Reserve for a picnic. 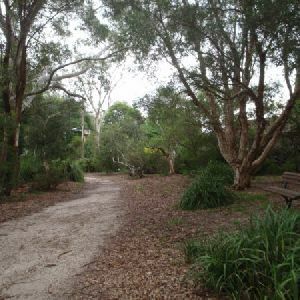 This great return walk starts from Seaforth oval and follows the Timbergetters Track down to Bantry Bay, and the pleasant waterfront picnic area. The walk then climbs steadily, out of the valley, to the Bluff Lookout. From this lookout you can see all the way across Middle Harbour. 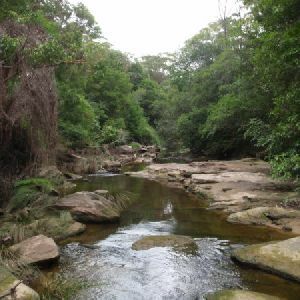 Starting at Cambourne Ave, St Ives, this walks explores the ridges and valleys of the upper reaches of the Middle Harbour Creek in Garigal National Park. The walk follows service trails, and crosses several creeks along the way. The Lower Cambourne waterhole is a great spot to rest and enjoy a snack whilst enjoying the peace and quiet. This walk partially circumnavigates the suburb of Davidson. Starting on Stone Pde, the walk follows the cascades track down to Middle Harbour Creek and follows the creek downstream to the pipeline. The walk finishes with an uphill slog, following the pipeline, to John Oxley Drive. This walk starts and finishes at different points on Eastern Arterial Road. 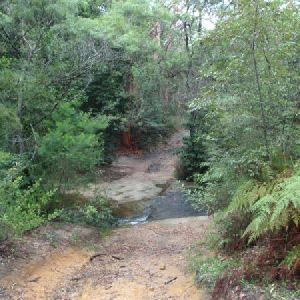 The walk follows a mixture of service trails and bush tracks through Garigal National Park, along Middle Harbour Creek, then heads back out to Eastern Arterial Road, on the other side of Killara. A popular walk that explores Gordon, Middle Harbour and Moores Creeks. 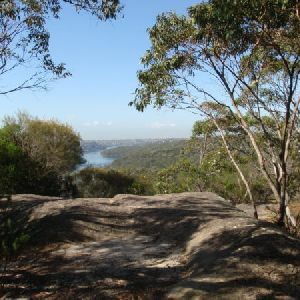 This walk crosses a section of Garigal National park and a few reserves managed by Ku-ring-gai Council, you will see some great water views, sandstone caves and heritage sandstone works. The track is well signposted. The optional short section at the end of this walk takes you to Echo Point park, a great place for a picnic to finish off your walk. 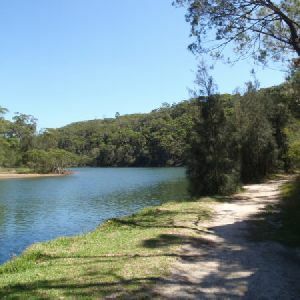 This pleasant walk starts from Lindfield Park and heads through the bushland to the Two Creeks Track, which it follows through the National Park to, and along, Middle Harbour Creek. The walk returns to Lindfield Park via the picturesque Little Digger Track, and through a few shortcut alley ways in East Lindfield. 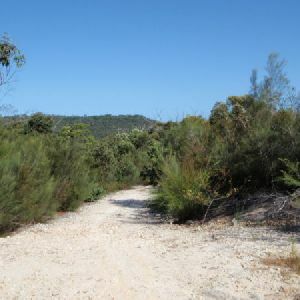 This pleasant walk starts at the bottom of Eastern Arterial Road (near the speed camera) and follows the service trails and bush tracks into Garigal National Park and down the side of the valley to Middle Harbour Creek. From here the track follows Middle Harbour Creek north to the pipe bridge, and along the Bungaroo bush track and the pipeline service trail as it climbs up to St Ives. Named in honour of NSW’s first Governor, this walk follows in the footsteps of his 1788 expedition to find farm land. The walk starts at the end of Ferguson St, Forestville. Passing the NPWS office and depot, the walk then follows Carroll Creek down to the official start of the Governor Phillip Walk. For the most part, this walk follows a bush track along Middle Harbour creek, to the stepping stones crossing, before returning the same way. 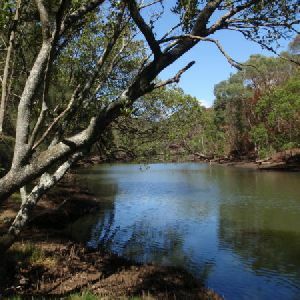 Starting at Davidson Park, this walk first explores the eastern banks of Middle Harbour Creek before heading up Carroll creek. The walk returns to Davidson Park via the higher Casuarina track. You will enjoy great views of the Middle Harbour and Garigal National Park from two distinctly different vantage points. 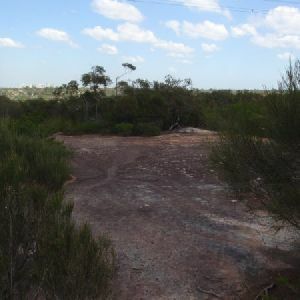 There are also interesting rock formations and some Aboriginal heritage to appreciate along the way. Starting at Currie Rd in Forestville, this walk follows Middle Harbour to Davidson Park, under Roseville Bridge. There are two optional side trips, one to Natural Bridge and the other short one to Flat rock beach. 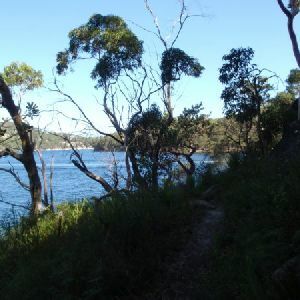 The walk starts on a service trail, but mostly follows bush tracks, providing great views of Bantry Bay and Middle Harbour. There are plenty of spots to stop for a snack and enjoy the view. Davidson Park has great facilities for a picnic at the end of the walk. 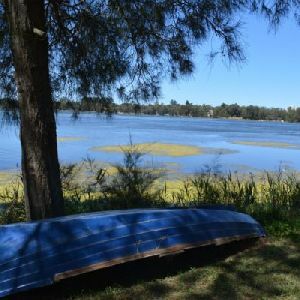 This pleasant return walk starts from the outskirts of Belrose and follows the management trails through Garigal National Park to the bottom of the valley and along Bare Creek to the cascades. The cascades are a good place for a break before returning along the same route. 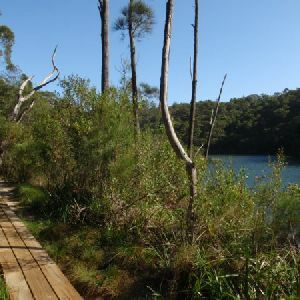 The Narrabeen Lagoon Trail is a wonderful and accessible walk on the Northern Beaches of Sydney. 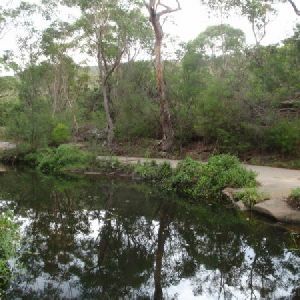 The trail is used by walkers, runners cyclists, kids on scooters and people in wheelchairs to explore the stunning bushland and lagoon views. There are bridges over rivers, quiet spots to enjoy the view, cafes to refuel as well as toilets and picnic areas. A quick lap for exercise or take the time enjoy all the facilities along the way. 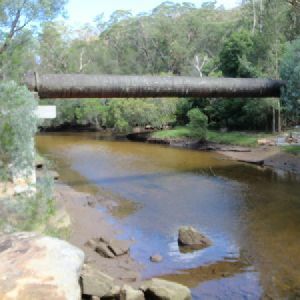 This walk starts in St Ives and follows the Pipeline and Bungaroo tracks down to Middle Harbour Creek, crossing the creek at the stepping stones and continuing to Davidson Picnic area. Much of this walk follows Middle Harbour Creek, providing great water views and passing some interesting sandstone caves along the way. The Davidson park picnic area is a great place for a rest and play after this walk. 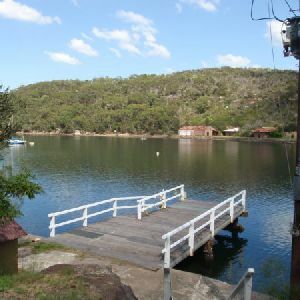 Starting at Seaforth Oval, this walk follows a section of the ‘Harbour to Hawkesbury’ track along Middle Harbour Creek. The walk has many highlights, including great views of Bantry Bay, the Historic Magazine Buildings and the Natural Bridge. 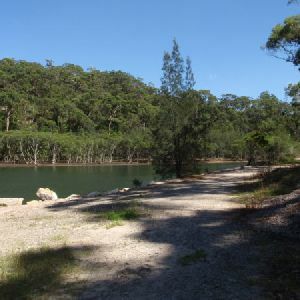 This walk is blessed with great bushland and views of Middle Harbour. Stop and relax, or wet your toes, at Flat Rock beach before the last section to Davidson Picnic Area. Starting at Currie Road in Forestville, this walk explores much of the northern shore of Middle Harbour Creek. There are some great side trips, in-particular to Natural Bridge and to Flat Rock Beach. Davidson Picnic area has great facilities if you are looking for a BBQ picnic lunch, otherwise there are some quieter spots like Flat Rock Beach for your snacks. 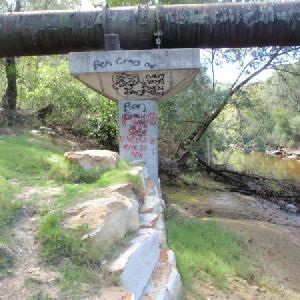 Exploring both the eastern and western sides of Middle Harbour Creek, this walk follows the Little Digger and Two Creeks Tracks down to the Roseville Bridge, and into Davidson Reserve. This is a fantastic spot to take a break before following the waterline along the Lyrebird Track for a while and looping back to Davidson reserve along the ridge, via the Casuarina track. This walk, between Davidson Park and Warrimoo Ave, is a fantastic harbour side trip. The focus for the walk is the waterway views, scattered throughout. This walk is a great way to explore the valley between the suburbs and the interesting, diverse flora it contains. 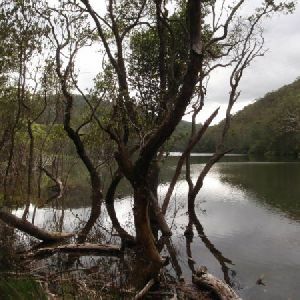 This walk explores the upper reaches of Middle Harbour Creek, starting and ending at the great parklands at Davidson Park, in Garigal National Park. There are plenty of nice spots along the way to rest and enjoy the views. 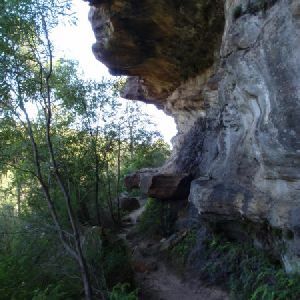 There are several sandstone overhangs, plenty of water views and most of the walk enjoys shade from the surrounding bushland. This walk is graded so high because of a tricky creek crossing (Rocky Creek) and the faint section of track afterwards. 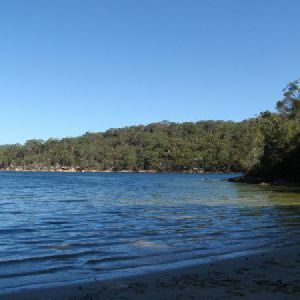 This full day walk starts at the southern end of the Spit Bridge and explores a lot of Garigal National Park and Middle Harbour Creek. 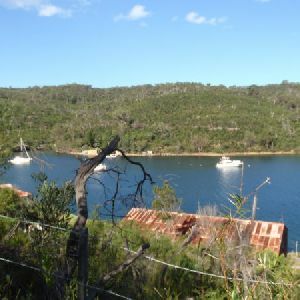 The walk follows the ‘Harbour to Hawkesbury’ track into Garigal National Park, skirting around Bantry Bay and along Middle Harbour Creek before crossing Roseville Bridge. The walk continues to explore the other side of Garigal, before leaving the National Park and arriving at Lindfield train station.